As I looked around the room, a feeling of terror sat in the pit of my stomach. D was yelling at L because L was “doing it wrong.”. N had decided at literally the very last minute that she didn’t like the idea her and M had been working on for the past 3 weeks. M stood in horror as she saw her precious project dismantled. T and Y sat in the corner wrapping duct tape around a table leg that would inevitably take ages to remove. To top it off, the administrator I had invited to come watch our presentation had arrived 10 minutes early and looked around the room in a state of shock and disbelief attempting to avoid eye contact with me at all costs. Was this life as a teacher? For the past 10 weeks, I have been working in an Atlanta charter school prototyping and refining a design education curriculum. On this particular day, we were giving the final presentation of our Rube Goldberg contraptions. The prompt had been to use a variety of recyclable materials to create a contraption that turned on a light. A day ago, it seemed like everything was right on schedule. The day of? Well, it was chaos. To make a long story short, we got through the presentations, the administrator observed, and all students made it out of the class with all limbs in tact. It was all I could hope for. These past few months have been some of the most mentally exhausting, emotionally trying and incredibly profound months of my professional life. Some days, I feel like I am a professional cat herder. On these days, nothing I says sticks and my kids test and try every button they can get their hands on. Then, on other days, the information sticks. In fact, the information I thought they were ignoring on the other days resurfaces. WAIT?! You were listening when I taught you what artifact analysis was? And, you want to take some time to yourself to brainstorm new solutions? Yes, please do! On these days, I cry internal happy tears and do a happy dance. On these days, I watch kids from rough homes give kind and insightful critique to their peers. On these days, I see a kid with severe ADD and ADHD build and ideate better than professionals 15 years his senior. On these days, I watch as students turn cereal boxes into cities of the future and discarded toys into the next great idea. While I am by no means a professional teacher, my brief time in the classroom has given me profound insights into the challenges facing students, teachers, and families through the lens of education. Despite these challenges, I am hopeful and optimistic. Day by day, I am seeing incremental changes in the skill and insights of my students. Day by day, I am seeing them actively engage with design and reap the benefits of its methodology. So, wish me luck! If you would like to know more about what I am doing or the details of the design curriculum please comment below of send a private message. They (whoever “they” is) say that things in life have a way of coming full circle. This has never been truer than for me at this very moment. In about 12 hours, I will start semester number four of grad school, and in about 18 hours, I’ll switch roles transforming from student to teacher. A brief back-story, for the past 8 months, I’ve been a project lead on a series of design education materials. In the fall, we were able to make friends with administrators at Kindezi Charter School’s. This relationship helped facilitate the development of a design education curriculum with the intention of being taught in a classroom environment. These efforts have resulted in a 70-hour, and 5-month curriculum that spans the design process and immerses kids ages 8-12 in everything from product design to branding. Tomorrow, I will be piloting this curriculum with the first batch of students in hopes of testing and refining it’s content. Now, this whole thing is incredibly surreal. Barely 2 years ago I pressed the submit button on my Georgia Tech application. A year and half ago, I took my first design class, and just 8 months ago I got my first design job. In hardly any time my life as a designer has catapulted from not knowing what “Eames” meant to prototyping my own design process. I feel as though tomorrow is my design due date—that, for two years, I’ve been growing and developing my design knowledge and tomorrow I become a design parent. While I can’t pretend to know what parenting is like, I am filled with anxiety, self-doubt and the sneaking suspicion that these kiddos will see right through me. What, anyways, makes me qualified to teach design? What do I know? I still can’t even articulate the difference between UX and UI! Yet, despite these fears and anxieties, I am comforted in my love and passion for design. This is perhaps one of my favorite things about design: Success as a designer lies in one’s ability to admit fallibility. It is in the moments we open our minds to the things gone wrong and items left out, that we let in tremendous insights and monumental improvements. So while I will be Ms. Miller for the next few months, I can wait to also usher in a new group of designers who I can empower to help make this curriculum the best that it can be. Wish me luck! Also, if any teachers are reading this, I would love any pearls of wisdom or teaching resources you might have. A few weeks ago, I had a whim. I wanted to see if I could utilize the local Museum of Design Atlanta for a design education project we’ve been working on. A few emails later, myself and the Spark Corps team were in the office of Executive Director Dr. Laura Flusche. As we discussed our project and our goals, we began a larger discussion on design education and its relevancy in the Atlanta community. Dr. Flusche began telling us about a design education workshop she had led in a low income school district. From a designer’s stand point, the event had gone fine. The children were somewhat engaged, the teachers were content, and there were no major mishaps. From a designer’s stand point, it also could have gone better. That’s our curse. Things can always be better. Her team left the school, and returned to the office. Over the course of the next few weeks, Dr. Flusche was shocked with the range of positive feedback she was receiving. Suddenly, she had calls from The Boys and Girls Club Atlanta, The United Way Atlanta, YMCA, and other regional community organizations. All of these groups wanted to talk about her design workshop in the school. Here’s the thing, though. They didn’t want to talk to her about design. They didn’t want to talk to her about the quality of the outcomes, the rigor of the methodology, or the outlet for creativity. Theses organizations wanted to talk to Dr. Flusche about teamwork, empathy, confidence, and pride. Designers love design, and rightfully so. I love this career I have chosen, and could go on about all the reasons why designers deserve a place at the table. Yet as the five of us sat around MODA’s table we all took a moment and sat on her words. We had almost 50 years of design experience between us. How had we never seriously considered the benefits of design that were not design related? The value add of social skills are an untapped aspect that designers need to start using when promoting the value of design. We are excellent at promoting the value of our designs. So, let’s be smarter about how we promote the value design itself. How does design teach children the skills to become leaders in their community? 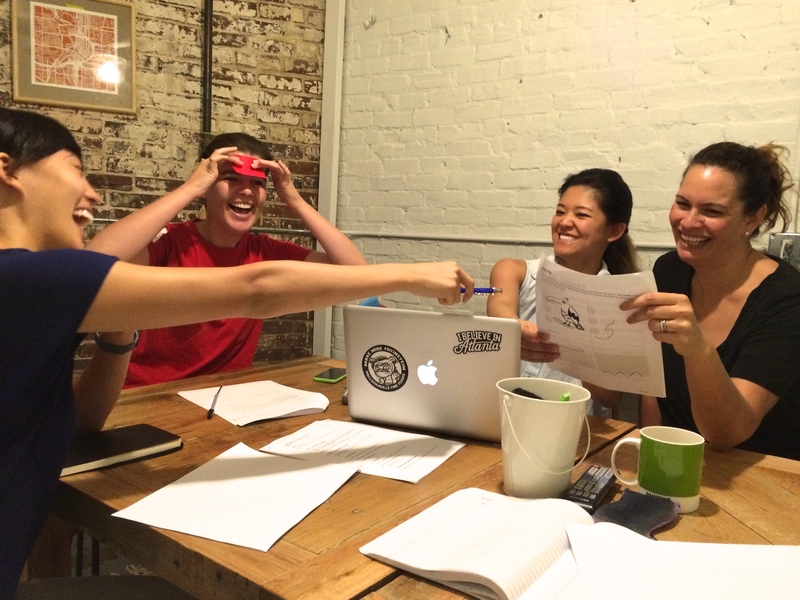 How can design empower groups of young people? How can design build confidence, empathy and compassion in those who need it most? Countless community organizers, organizations and non profits operate around the country promoting these values. 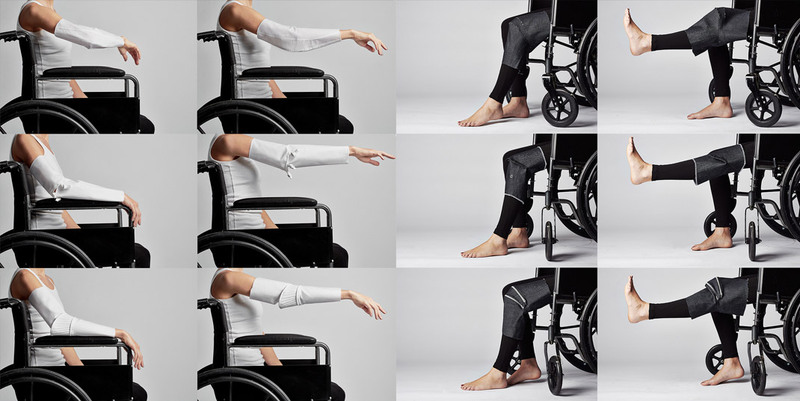 How amazing would it be for designers to lend their skills and expertise to enhance the efficacy and mobility of these groups? A few months after my 14th birthday, my dad looked at me and said, “Well, it’s about time we get you a job.” So, he opened up the paper to the classified section, looked at who was hiring a 14-year-old without a car, and, the next thing I knew, I was talking to Mr. and Mrs. Nelson who owned a local apple orchard. For the next 5 months, I stocked shelves, made caramel apples, and helped clean apples. Over the next 12 years I served beer at a local race track, catered at a ritzy events center, ran summer camp programs, and even rubbed elbows with a president. But all of these experiences were jobs. I never felt like they were my career. I don’t regret any of my experiences, and, in fact, some of my jobs have been profoundly transformative. However, I have never “loved” my job. That is until this summer. My first summer as a design student, I am interning at a local design firm in Atlanta called Spark Corps. For the first time in a long time, I wake up each day, excited to go to work and energized even when my brain is fried. In my 12+ of paying into social security I have never felt these feelings. Could it be that I love this job? 2. The people you work with support you. Every day, I am in awe of the people I work with. I work with people who will be making silly jokes one minute and then whip out the most incredible designs and visuals you have ever seen. I work with young, energetic, and intelligent adults who are passionate about design and want to better their craft. They also recognize that I am just starting my design journey, and through that recognition have been kind and patient with me as I get over my learning curve. 3. The work you are doing is significant. My greatest fear as a designer is to wind up in front of Solid Works designing pointless widgets for Target’s Dollar Spot. I have yet to feel that this summer. My projects range from public transit initiatives to a global vaccination program. This is the kind of work that I came to grad school for, and (at the risk of sounding so basic) I feel blessed for being put in this environment. I’m reminded about a post I wrote this past winter, and love seeing how with some persistence, and luck things end up coming full circle. 4. Your superiors push you. This is another big one. I work for leadership that push me and test me. They want me to grow and become a better designer. If I fail, I take responsibility. But when I am on the ground, they are there to pick me up, talk through what happened and send me on my way with the next plan of attack. This support and accountability makes me want to be a better employee and, therefore, produce better work. 5. You are given responsibility. I am going to be completely honest. Other than my personal accounts and some dabbling at previous companies I am pretty average with social media. So when on my first day, my boss told me to start managing the social media accounts, I was a little nervous. Not wanting to let her down I started reading social media blogs, looking at strategies for collecting followers, and putzing around with the Tumblr and Square Space. Before I knew it I was a self proclaimed social media queen. And, while I do not try and pass myself as the next Mark Zuckerberg, I will say I might be better at this that I thought. 5. You have a voice. This may be the most important one for me. If I have an idea, I feel free to express it. If I take initiative and follow a lead not suggested by my boss, chances are good that initiative will be rewarded. If things go south, then we chalk it up to experience. This doesn’t mean that I am allowed to run my mouth. It simply means that I am in an environment in which my intellect is valued and I was not hired to merely produce and churn out other people’s designs. 6. There is lots of free food. Ok, so maybe this isn’t a deal breaker, but I am under the belief that there is a direct correlation between a healthy work place and copious amounts of free food. I know that correlation does not equal causation, but I’m just saying. I am sure there are things I am leaving out, and I am sure that I will not love my job every day. That being said, I am thankful for this opportunity and excited to see where the summer leads. With that in mind, I ask that you invest in something that you love. Maybe its not your job, but I believe that everyone should have something to get them excited about the day. It’s a big world. Go find your passion.